The Bino Guard EL provides optimum rain, dust and dirt protection for lenses from the EL range of binoculars.<br> <br> Please note that this model does not fit the Field Pro 2016 models. The different Bino Guard Pro version should be ordered. 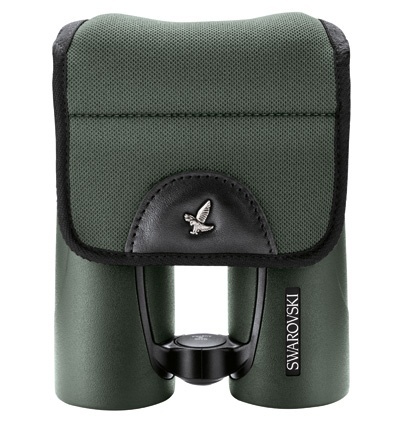 The Bino Guard EL provides optimum rain, dust and dirt protection for lenses from the EL range of binoculars. Please note that this model does not fit the Field Pro 2016 models. The different Bino Guard Pro version should be ordered. The user can fold back the guard in a single, swift, silent movement and is immediately ready to observe. It is just as quick and easy to replace the Bino Guard EL over the lenses with just one hand. The product is made from robust, weather resistant neoprene and therefore has a long service life. The transparent compartment in the protective flap provides space for a cleaning cloth.